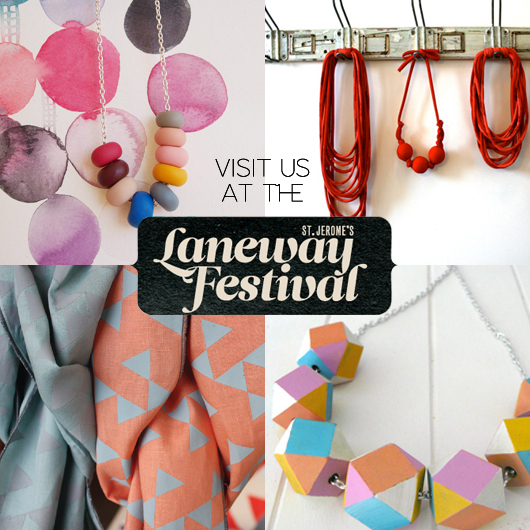 Are you going to the Laneway Festival this weekend in Melbourne? If so, please drop by the market, where I will be sharing a stall with the Creative Women's Circle (we'll be selling the book) Emily Green, Pom by Pomegranate, So Little Time Co. What a team! The market can be found at the festival by the handbag icon on the festival map. Must get back to finishing some brand new pieces. Promise to be back soon with snaps of new work and a few tidbits of exciting news.